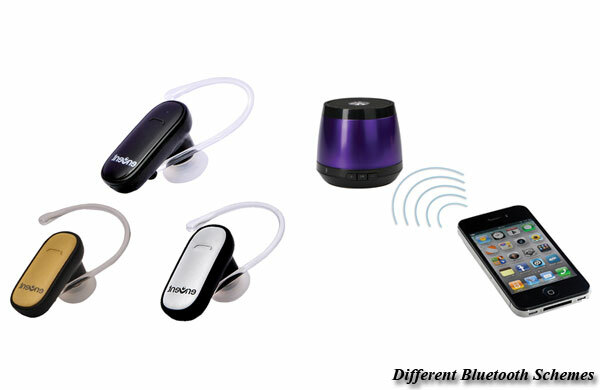 If technology seems daunting to you, then you might benefit from reading the following lines about Bluetooth. Yes, Bluetooth has something to do with people driving around talking into a headset. But it is a very fascinating technology that makes life simple for many of us by making wireless connectivity possible. Bluetooth can be used to share files between computers separated by very small distances, to transfer physical workout data from your treadmill to your smartphone, to use wireless keyboards or mice with the computer, and so on. Bluetooth is a technology that makes use of low frequency radio waves to send data across a very small network; so small that these networks are called personal area networks (PANs) or piconets. The technology was developed to make it possible to share data from mobile devices like a USB, a laptop or a mobile phone instead of large, stationary computing technology devices like desktops. Bluetooth-enabled devices can share data across a wireless network. The devices emit signals that other mobile devices within the piconet receive. Data can be shared between these devices once the link between them is established. If you are working on a laptop and someone with a Bluetooth-enabled mobile phone enters the network field, you will see a notification on your laptop screen and a confirmation to establish the link. This is called pairing as the two Bluetooth devices identify one another and seek to make a connection. Once you confirm, the link is established between the two devices by sharing a code and data can be sent from the mobile phone to your laptop. This is called bonding. Once you have confirmed the pairing for the first time, the bond is permanent and you will not be asked to confirm the pairing each time. A single Bluetooth-enabled device can establish links with up to seven devices in the piconet. Bluetooth data-sharing through such a relationship is called a master-slave relationship where the master device sends data and the slave devices receive it. Bluetooth 4.0 is the latest version and was launched in 2010. It is latest technology It possesses many improvements over its predecessors. It is based on the Bluetooth Low Energy technology that allows wireless data sharing across devices that run on very little power. Single-mode chips are used to transfer data across a range of 300 feet with very little energy consumption. This means that you need to replace the batteries of your Bluetooth devices less frequently with Bluetooth 4.0. Pairing with Bluetooth 4.0 is also much simpler as the two devices simply need to be tapped lightly to establish the link. TagBluetooth 4.0: The Future How does Bluetooth Work? If technology seems daunting to you then you might benefit from reading the following lines about Bluetooth.